Organized armed resistance to Portuguese rule began on 4 February 1961, when urban partisans of the Popular Movement for the Liberation of Angola (MPLA) attacked the São Paulo fortress and police headquarters in Luanda. 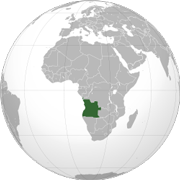 Within six weeks, the war had been spread throughout the north by the rural guerrillas of another organization, the Union of Angolan Peoples, which later became the National Front for the Liberation of Angola (FNLA). António Agostinho Neto (September 17, 1922 – September 10, 1979) served as the first President of Angola (1975–1979), leading the Popular Movement for the Liberation of Angola (MPLA) in the war for independence and the civil war. His birthday is celebrated as National Heroes Day, a public holiday in Angola.